The CARLITA vest is a prime example of the painstakingly beautiful art of Mexican embroidery. 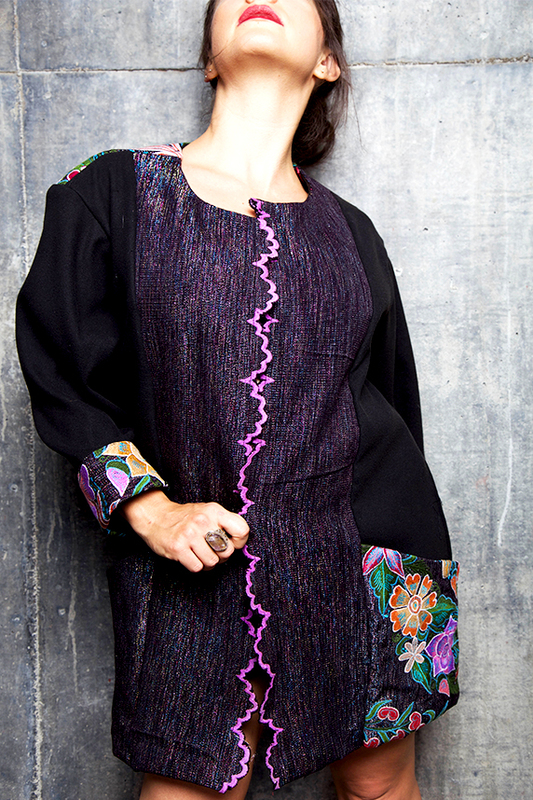 We are in love with the richly colored sleeves and pocket that will make this the perfect statement piece! The fabric is first woven on a hand loom, then the floral patterns are hand embroidered by artisans near Chiapas, Mexico.